Starting in June Ultra Tool & Manufacturing will be entering a new era in metal forming with the installation of a NEW Minster Servo FX2-300. This servo press features programmable stroke control for maximum manufacturing flexibility. 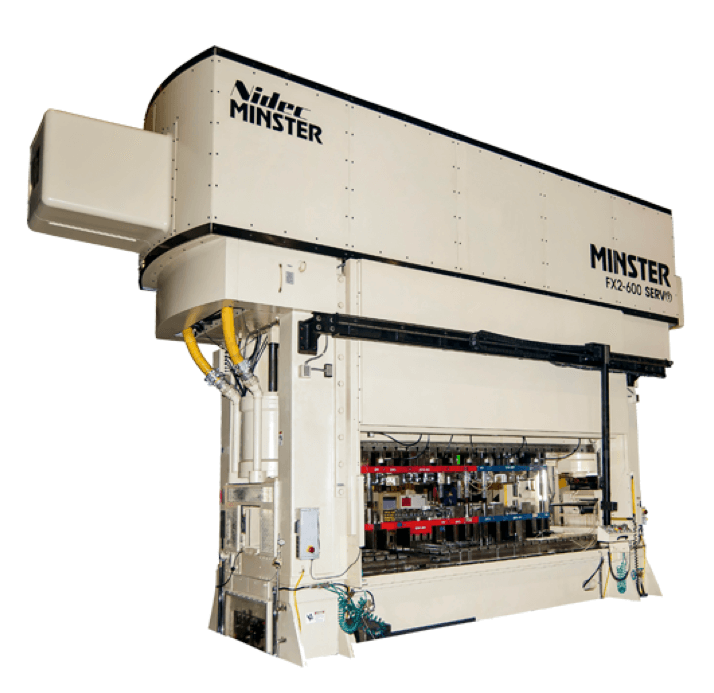 Minster’s FX2 Servo features unique liquid cooling technology leading to a longer motor life and less heat transfer to the press for a more stable production environment. The durability and flexibility of a Minster Servo Press are unmatched and will allow us to continuously improve our manufacturing capabilities as customers specifications are ever changing and increasing in complexity.